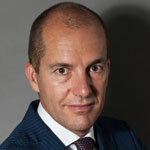 Paolo joined Clariant's Group Biotechnology, which develops and commercializes cellulosic biofuels and bio-based renewables for the Swiss specialty chemicals company Clariant, in 2012. As Head of Business Development he oversees the out-licensing of cellulosic ethanol and sugar production plants. 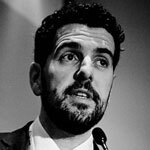 From 2005-12 Paolo worked as Business Development Manager for Biofuels Partners, an Italian consultancy with specific expertise in the bioliquid and biodiesel sector. Prior to joining Biofuels Partners, he worked for Aon Insurance in Milan and Rotterdam as an Internal Auditor and later as a Business Development Manager focusing on the renewable energy sector. 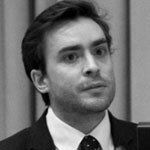 Paolo graduated in 2000 from the Politecnico di Milano with a degree in Management and Production Engineering, before completing his internship at McKinsey & Company in Milan as a Business Analyst. 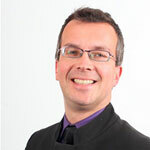 Dr Sergio Ugarte is co-founder and Managing Director of SQ Consult (www.sqconsult.com). He cumulates more than 25 years of consultancy experience in policies, technology innovations and business strategies in the sustainable energy sector. In the past few years he has conducted for IEA-RETD, IATA, Abengoa, among others, relevant projects related to the overall feasibility of the production of advanced biofuels. These projects also included analysis on technical possibilities and economic savings for the integration of conventional and advanced biofuel production. He has also conducted several policy assessment projects related to the future and relevance of biofuels in the global energy mix. 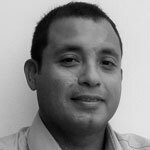 Sergio has worked for private and public clients in four continents and has vast experience in elaborating policy recommendations and in communicating with all relevant stakeholders in the biofuels value chain. Sergio has occupied positions such as Strategies Director at Ecofys International and Vice-Minister of Energy of Peru. He holds a Doctoral degree in Engineering, specifically on modelling kinetics of fuels combustion. He is a member of the external advisory board of the Department of Industrial and Mechanical Engineering at Northeastern University (Boston, USA), where he has been an associate research scientist and lecturer of thermofluid sciences courses. Working in the Industrial Biotechnologie field more then 20 years, Arno is an experienced business development director, now working for the Bioprocess pilot facility in Delft. He worked for several companies in marketing, sales and business development functies , as there are; New Brunswick Scientific, Akzo Nobel, NIZO food research, bioMerieux, and TNO. He also worked as CEO of ARKI and MicroDish, a startup company, discovering and detecting novel organisms. He was also active in several European networks, like member of the industrial biotech councel of EuropaBio and the Key Enabling Technology working group of the European Union for Industrial Biotechnology. Now dedicated to help companies to upscale their processes from biomass to products in the open acces pilot facilities in Delft. Dr. Jan Henke is Director at Meo Carbon Solutions, a consulting company specialized in the areas of sustainability, renewable resources/ energies and GHG emissions. Meo has managed the development and currently operates the ISCC system, a recognized certification scheme, developed in a multi-stakeholder approach and governed by the ISCC Association (www.iscc-system.org). Jan also works on the development of GRAS (Global Risk Assessment Services), a tool that provides information on land use change, biodiversity, carbon stock and social indices. GRAS can be used to set up and monitor sustainable and deforestation-free supply chains (www.gras-system.org). Jan holds a degree in International Economics. 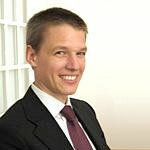 From 2002 to 2006 he was a research associate at the Kiel Institute for the World Economy. Jan works on the topics of renewable energies and renewable resources, sustainability, climate change, GHG calculations and certification along entire supply chains. 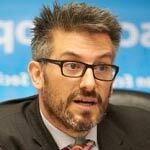 He has conducted projects for private companies and the public sector in Europe, Southeast Asia, and the Americas. 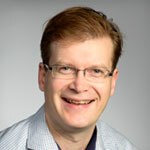 Gudbrand Rødsrud is a polymer chemist from the University of Oslo by education, and also holds an MBA in international marketing from the Norwegian School of Business Administration. 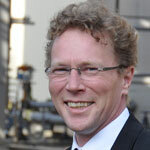 Rødsrud joined Borregaard in 1995 as R&D Director for Borregaards lignin operations and has been leading product development and technical customer service for the worlds leading lignin business for 11 years. He has also had a 2 years expatriate position for Borregaard in South Africa and have since 2006 worked in Business Development as a Technology Director. Rødsrud has been involved in a range of projects within biorefinery as part of Borregaard's new strategies. Borregaard is claimed to be one of the most advanced biorefineries in operation today and looking into expanding its biorefinery concepts both on feedstock and the palette of products to produce. His focus areas now is on developing valuable product streams from all main components of the biomass, and integration of new biorefinery concepts with a selection of existing industries all over the world. He is a co-inventor of the BALI pretreatment and separation process. He is also working on projects to convert pentoses to performance chemicals, sugars to single cell proteins, lignins to aromatics and on specialty sugars. Dr. Spyros Kiartzis received his Diploma and his PhD in Electrical Engineering from the School of Engineering; and his degree in Economics from the School of Law and Economics; all from the Aristotle University of Thessaloniki and finally his MBA from the Hellenic Open University. Upon graduation, he joined the Aristotle University of Thessaloniki as a researcher and later as an instructor. Occasionally he gives lectures in the International Hellenic University. His research interests are in renewable energy, in energy economics and in energy sector deregulation policy. He joins the Hellenic Petroleum Group in 2001 where he held a range of posts in maintenance and project construction sections (including the Project Management Team for the construction of a 390 MW CCPP), before becoming Director of Alternative Energy Sources and New Technologies. 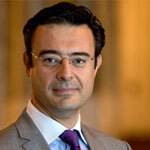 He is Vice Chairman and CEO of Energiaki Pylou-Methonis SA wind park owner. He is also member of the Board of Directors of the "Hellenic Petroleum Renewable Energy Sources S.A." (subsidiary of Hellenic Petroleum Group) and has served as member of the Board of Directors of "EKO Bulgaria S.A." (subsidiary of Hellenic Petroleum Group). 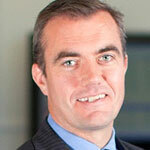 Kevin McGeeney was a founder of the SCB Group in 2006 and is its CEO. With group offices in Switzerland, the United States, UK and Singapore, SCB is the world's largest renewable energy brokerage firm and has won a number of accolades including 'Environmental Deal of the Year' awarded by Environmental Risk Magazine and "Broker of the Year" by Energy Risk. Mr McGeeney is a well-known commentator on environmental markets issues and regularly speaks at international conferences all over the globe, on CNBC television and in print media such as the Wall Street Journal. Prior to the establishment of SCB Group, Mr McGeeney spent 15 years as an investment banker in London, New York and Tokyo. He holds Bachelor of Commerce and Masters of Economic Science degrees from University College, Dublin. Luis has worked in the biodiesel industry since 2009. He joined Biocarburantes de Galicia in 2010, where he was focused on waste-to-energy projects. His main interest was using waste feedstock to produce quality biofuel � mainly within double-counting regimes. In 2011 he joined Beta Renowable Group acting there as Biofuels Trader and was in charge of buying the uco and selling the ucome produced on its two different factories in Spain. He is experienced in ISCC-EU certification as well as national implementation in Spain. Luis started his own business in 2013, trading sustainable feedstock for biodiesel production and by-products at UCO TRADING SPAIN. Raf Verdonck is an independent management consultant with TOTCO bvba, assisting companies in the sectors of chemistry and biofuels. From 2006 to 2014 he was a business unit manager at Oleon Biodiesel NV, a subsidiary of the French biodiesel producer Saipol/Diester. During this period he was also responsible for several projects in the field of advanced biofuels. Prior to that he worked as business development manager in the textile industry and as R&D manager in the metals industry. Raf Verdonck holds a Master Degree in Engineering from the Catholic University of Leuven (Belgium), where he graduated in 1997. Ortwin Costenoble graduated from Delft Technical University as a materials science engineer. He started at NEN, the Netherlands Standardization Institute, in 2000 in the chemistry field. After years of standardization consultancy in for instance rubber, gas analysis and natural gas, he specialised in international standardization work in the petroleum and biofuels field. He is now senior standardization consultant at NEN Energy Resources. 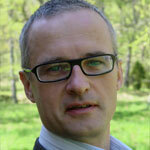 Mr. Costenoble is international secretary for committees and working groups in ISO and CEN, a.o. (bio)fuels quality and labeling, alternative energy, sustainability criteria for biomass, bio-solvents, algae and bio-based products. He is member of related organizations such as ASTM or the European Biofuels Technology Platform. Besides this he manages several pre-standardization research (FP7 and Horizon2020), metrology, procurement and certification projects regarding biofuels and bio-based products. Ortwin has organized international scientific congresses and training courses in for instance China and Eastern Europe with regards to standardization, trade, certification, measurement and metrology. Christian Schweitzer was born in July 1964 in Aachen. There he completed his engineering studies at the Fachhochschule Aachen. He also received his Bachelor of Business Administration in 1999 from the St. Gallen Management Institute, Switzerland. 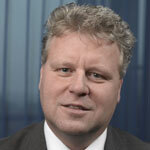 Since 1995, Mr. Schweitzer is managing director of bse Engineering Leipzig GmbH. The bse Engineering GmbH Leipzig works across whole Europe and is an independent, consultative and customer-oriented engineering company in the field of liquid and solid biomass. With the successful establishment of the bioethanol plant in Zeitz in Germany in 2005 he joined the biofuel industry. Since that time Mr. Schweitzer has supported and implemented many bioenergy projects throughout Europe. Furthermore, Mr. Schweitzer released different articles about BioEthanol, sugar mills and (sustainable) utilization of biomass as well as held presentations on these topics at International Bio-Energy conferences. At the moment Mr. Schweitzer develops the technical and economic integration of the chemical Energy storage of Methanol in the Ethanol Industry. 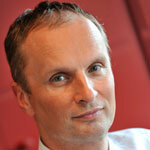 Tim Worledge is Platts Global Associate Editorial Director, Agriculture. He is responsible for a team of dedicated editors who provide market prices, news and insights for the agricultural sector. In 7 years at Platts, he has led the Middle Distillate team of editors, responsible for coverage of the European jet, diesel and gasoil markets. During this time, Tim covered the historic rise of crude to $147 per barrel and the collapse in demand from the global recession prior to 2010. After graduating with a bachelor's degree in modern history, he began his career with a media company, working alongside cable TV channels such as MTV and VH1. Gunter Festel is co-founder of Autodisplay Biotech and he is supporting the global business development activities. He also founded the Swiss investment firm FESTEL CAPITAL and co-founded as founding angel numerous biotechnology start-ups in Germany and Switzerland. For example, he was co-founder and CEO of Butalco, which developed a technology platform for the production of biofuels and biochemicals and was sold to the French company Lesaffre in 2014. Prior to that, he was a member of the management team and head of the consulting business for the chemical and healthcare industry with Arthur D. Little in Zurich and a consultant with McKinsey. He started his career with Bayer, where he held various management positions in R&D and marketing. Gunter Festel holds a MA and PhD in chemistry, a BA in business administration, a MA in economics, a PhD in management & economics and an executive master of corporate finance. 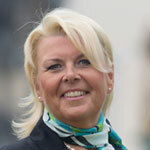 Sandra De Mey graduated in 1991 as a bachelor in Communications Management (specialties in PR & advertising). Post graduate: port management. She has been working with Ghent Port Company since 1992, where she started her career as a PR assistant (PR department). Not much later, she was appointed head of PR until in 2004 she opted for a new challenge as dry bulk manager and later as an account manager. Today, as commercial manager she specializes in the biobased economy, the agribulk sector and liquid products. She was appointed as an Ambassador for Women in Agribusiness and is now part of the board of IMEXGRA vzw. PORT IN YOUR BLOOD "To help my port clients boost their businesses and find new investments for them are my daily targets. Know-how, years of experience and people management are some of my useful skills. Addressing people in Portuguese, German, English or even Arabic is not an effort to me." - St1 Biofuels own waste to ethanol production fleet feedstock sourcing, by product sales and customer/partner management. 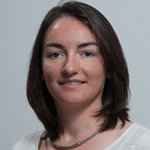 Madeleine Breguet is Oilseed and Biofuel market analyst at Tallage/Stratégie Grains. She holds a master's degree from AgroParisTech (Paris Institute of Technology for Life, Food and Environmental Sciences). She started her career as market analyst in the field of non-food use of biomass. She joined the Oilseed Department of Tallage/Stratégie Grains in 2013 and is in charge of the global soybean and soymeal markets. Her area of expertise also encompasses the EU bioethanol and sugar markets. Tallage is an independent firm specializing in agro-economic markets of grain and oilseeds, established in January 1993. Its main activities are the publication of Stratégie grains (monthly reports and web services), reference for the analysis of crop markets in Europe, the implementation of targeted agro-economic studies, and training for business areas related to agricultural commodity markets. 325 companies in more than 50 countries subscribe to Tallage/Stratégie grains services. 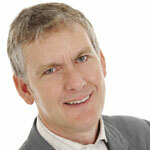 Kevin has been working with Alter NRG in a business development role since 2006. He is responsible for the company's marketing and sales activities throughout Europe and his company's relationship with Air Products, the company currently constructing a 2,000 tonne per day plasma gasification facility in NE England. Before moving to Alter NRG, Kevin had 20 years of experience in the electricity industry, the majority of which was in a business development capacity. He was responsible for one power company's entry into wind power. He held numerous roles at another major power company including business development, marketing, commodity risk management and engineering. 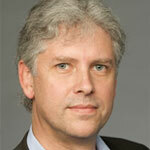 Kevin has worked in countries around the globe, including China, Australia, New Zealand, Japan and throughout Europe. Kevin is a Professional Engineer, has a Bachelor of Science in Electrical Engineering from the University of Saskatchewan and an MBA from the University of Calgary. 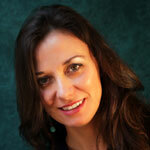 Raffaella Serra is Business Development Manager in Beta Renewables following the European market. She joined M&G in 2000, and has since held multiple roles, in the commercial and marketing team of the Packaging Business Unit of the group, then the focused her activities in the Marketing and Sales of special barrier PET resins in the Polymer Business Unit of the group. Raffaella joined Beta Renewables team in 2013. Broker on physical biodiesel and feedstock covering and developing European (Med and Eastern European countries) and South-American Markets. He started his career in Investment Banking and Asset Management. 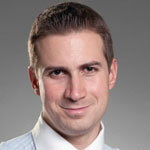 Victor holds a double degree: Master in Management and a Msc in Financial Markets from EDHEC Business School. His working languages are French, English, Spanish and Portuguese. Started as commercial manager at Zeeland Seaports 7 years ago, after working in the shipping industry for 23 years . Training in Commercial Economics, Port Management, Shipping and Transport. Responsibilities at Zeeland Seaports include Liquid bulk, Offshore, Energy, sustainability projects and Bio Based Economy. Zeeland Seaports is the Port Authority for the ports of Vlissingen and Terneuzen, in the south western part of Holland (between Rotterdam and Antwerp). Shareholders are the Province of Zeeland and the 3 Municipalities Vlissingen, Terneuzen and Borssele. Zeeland Seaports accommodates world market leaders in the liquid bulk sector. Petrochemical industry (DOW Chemical), tank terminals (VOPAK, Oiltanking, Vesta) as well as refineries (Zeeland Refinary – Total/Lukoil) and Biofuel plants. Zeeland Seaports also manages Biopark Terneuzen, which in return is founding father and co financer (with Ghent Bio Economy Valley) of Bio Base Europe. Bio Base Europe facilitates companies in their development to the next generation Biofuels, Bio Energy and Bio based products. Independent Advisor – FiveBarGate Consultants Ltd Ian's consultancy, FiveBarGate, provides: market; commercial; supply chain; sustainability management and assurance; technical; legislative and strategic direction to a number of active bio-energy and technology companies and investors around the world. These include companies active in heat, power and transport, from the point of arising of the crop or waste to the point of use. Ian has also advised the UK Government on a number of regulatory and supply chain matters relating to bio-energy. Ian is an international lead auditor for the Roundtable for Sustainable Biomaterials and has advsied many clients that have achieved RSB or ISCC. Csaba Zsótér (Hungary) is Product & Renewables Trading Manager in MOL Group. 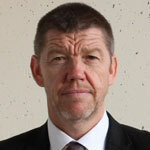 In this position he manages MOL Group trading activities in relation to oil products (light, middle and heavy distillates) and to biofuels and other renewables, exploits business opportunities originated from flexibility, market structure and the physical position of MOL Group and generates margin via pure third-party trading flows. Csaba started his career in MOL Group in 2008 at Corporate Business Development M&A department, where he worked in various refining, petrochemical and retail acquisitions and other business development projects. From 2011, he worked as manager assistant in MOL Group Refining & Marketing, then Supply Chain Management organisations and in 2013 he was appointed as Head of Feedstock Supply and Sales. Csaba graduated at Corvinus University of Budapest as economist, where he acted as part-time seminar teacher for years. I am an Economist by training. I started my professional career in the recently founded Greenpeace Sweden in 1984. I stayed for 11 years, leaving as the Director of Greenpeace Sweden. At that stage I founded a consultancy firm, and I have been working as a consultant since. I was appointed the Chairman of the influential organisation the Swedish Organization of Green Motorists, where I stayed for nine years. After leaving I co-founded the 2030 secretariat, an industrial NGO devoted at achieving a fossil fuels independent transport sector in Sweden by 2030. I have worked professionally with all the biofuels, as well as advising the Swedish Government on decarbonisation policies. Vice-President, Head of Emerging Technology Developments. Civil Engineer, Master (Specialisation Electro-Mechanical Engineer) – University Gent 1985. Joined the company on September 1988 - site of ArcelorMittal Gent. Active in different areas as IT developments, Research center for steel apllications, quality responsible for the finishing area. 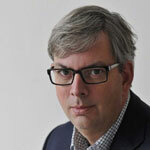 Was from 2002 to end 2006 general manager of the Steelplant department of ArcelorMittal Gent. Moved end 2006 to the segment level of ArcelorMittal, first as Continuous Improvement responsable for Flat Europe and was since May 2008 nominated to Vice-President of ArcelorMittal as CTO of Flat Carbon Europe, responsible for technology, strategy, innovations and continuous improvement. Since 2014, he was nominated to Vice-President ArcelorMittal as Head of Emerging Technology Developments. In this function he is responsible for the global program on Low Impact Steel technologies. 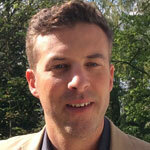 Mr. Gleerup serves as the CEO and is one of the founders of Nordic Green. He has more than 16 years of experience with sales and distribution of different raw materials and ingredients for the food, feed and pharmaceutical industries. 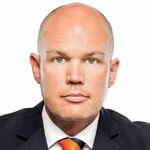 He is furthermore the owner and Chief Executive Officer of the agency- and distribution company Johannes Eriksen. He is also a board member and business advisor for several companies. 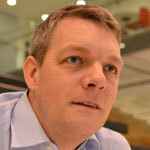 As Chief R&D Officer manager, Brecht coaches & supervises the consortia projects at the Bio Base Europe Pilot plant. He holds master degrees in applied bio engineering sciences and industrial management. Before he was responsible for product & process innovation in several international companies (AVEVE, Campina, FrieslandCampina, TEREOS) , first generation biorefineries based on milk or cereals, tubers, beet. 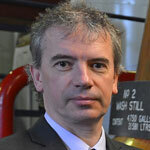 Prof Martin Tangney is an internationally recognised expert in microbial biofuel production and in 2007 he established at Edinburgh Napier University the UK's first research centre dedicated to the development of sustainable biofuel � the Biofuel Research Centre (BfRC). The centre has achieved international prominence as a portal for the assimilation, integration and dissemination of knowledge and information across national and international academia, industry and Government. Martin is a key figure and prominent speaker in the renewable energy sector in Scotland and internationally, and has informed the policy debate here and abroad. In 2011 he launched Hong Kong's first recycling to biofuel campaign and he also hosted a visit by the Chief Executive of the Hong Kong Government during the Hong Kong Premier's state visit to the UK. 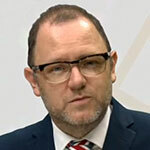 In 2012 he helped devise an MOU on renewable energy between Scotland and Hong Kong. Martin made global news headlines for his process for producing biobutanol, as a sustainable advanced biofuel (a direct replacement for petrol), from the by-products of Scotland's malt Whisky industry - not only providing a sustainable disposal route for the by-products of one of the country's largest industries, but also integrating renewable chemical production with environmental sustainability and carbon reduction. His acclaimed innovation has been equally applauded by NGOs, industry leaders and international Government leaders alike and hen has focused worldwide media attention onto innovation in Scotland. In 2012 he received the highly prestigious Institute for Chemical Engineers International Award of "Innovator of the Year" for his process - an innovation he is a now commercialising as the Founder of Celtic Renewables Ltd. The startup company has already achieved global recognition and numerous awards; including the Shell Springboard Award for Low Carbon Innovation and the much coveted "Best Innovation" accolades at the Scottish Green Energy Awards, and from the Chemical Industries Association. Martin has been internationally recognised for his thought leadership, and his personal story "Biofuels whiskey and me", which he delivered in a TED talk in Hong Kong, is a testament to his belief in sustainability through innovation. 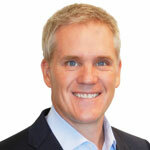 Matthew Stone is Managing Director of PRIMA, a new entrant to the research and price benchmarking space focusing on biofuels as the growth interface between the energy and agricultural commodity markets. After many years working in energy markets ranging from coal to petroleum fuel, Matthew has worked in the biofuels sector for over ten years in benchmarking, analytic and broking capacities. Be part of the 2016 conference programme.